If you don’t celebrate Halloween you can still have fun with pumpkins with this fun pumpkin game. 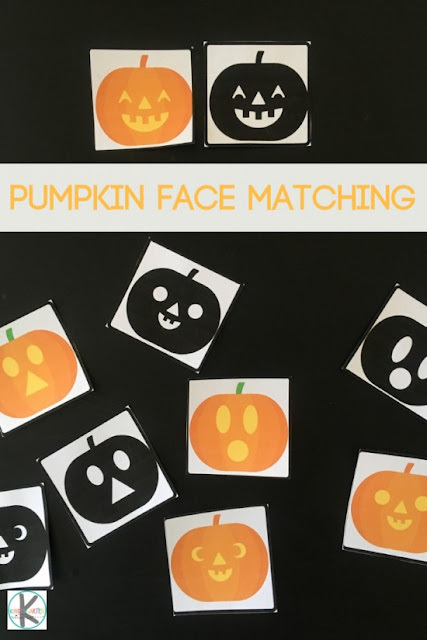 This games include super cute Pumpkin Faces that children will math, perfect for October month! Match the color pumpkin face to its shadow in a fun memory game! 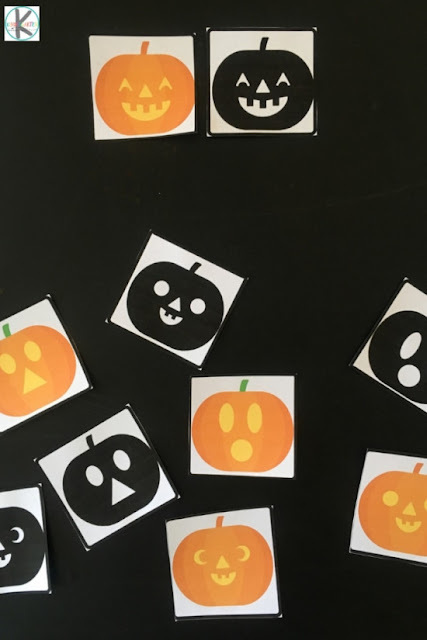 Laminate the printable page with the pumpkin faces in blocks and cut out the blocks. Place it upside down in two rows. Turn 2 cards around at a time to try and find the “friends”. If the cards don’t match, turn it back again- remembering where you’ve seen it. Try to find all the friends! This game can be played by one or more kids. 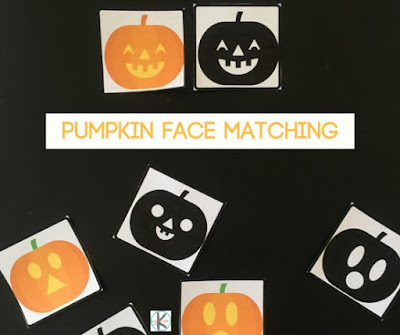 Younger kiddos can simply match the same faces to each other without playing the pumpkin game. If you have a sensory bin, you can “hide” the pumpkin cards in the bin for them to find and match! What fun! 3. 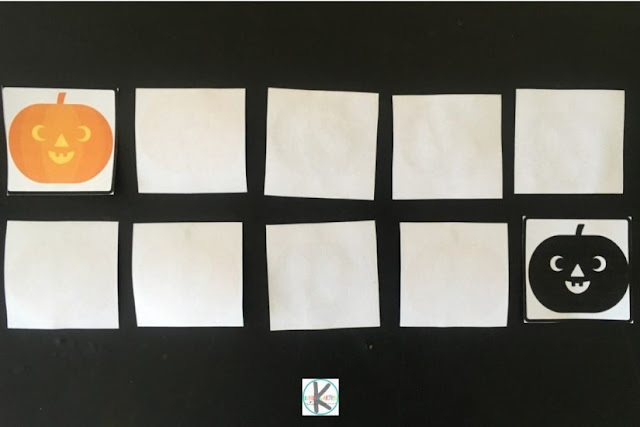 Lastly, laminate the printable sheet, or use a dry-erase pocket, and let your child connect the matching faces by drawing a line with a marker. This option is great for a group of kids or if you are traveling(less pieces to misplace). It also develops hand-eye coordination, mid-line crossing and fine motor skills. 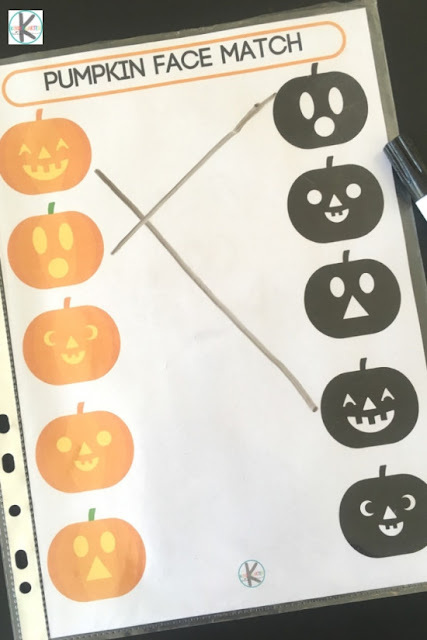 Have fun with this pumpkin game perfect for October, the kids don’t need to know you are actually learning too!